01:05:00 Makes 1-3/4 cups or 14 servings, 2 Tbsp. (30 mL) each. Makes 1-3/4 cups or 14 servings, 2 Tbsp. (30 mL) each. This easy versatile dip takes just minutes to prepare. Mix ingredients until well blended. 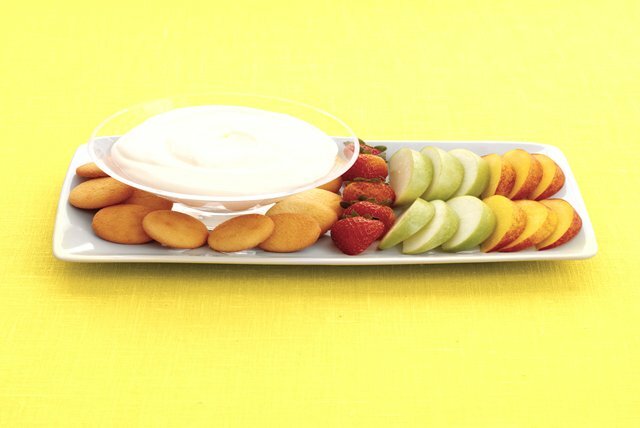 Serve with assorted Christie Cookies or cut-up fresh fruit. Add 1 tsp. orange, lemon or lime zest to dip before refrigerating. Serving Size Makes 1-3/4 cups or 14 servings, 2 Tbsp. (30 mL) each.